Can anyone do a photoshop for me? I don't know how to do photoshop. I still haven't made up my mind on a tail for my bike and I was wondering if anyone could do a photoshop for me. I've been thinking about a Panigale tail on my bike, but no matter how hard I keep looking back and forth at my bike and a Panigale, I can't decide if it'd look right or not. So if anyone has a few minutes (don't know how long photoshop takes), could you put a Panigale tail and seat on my bike? If the top of the tail could at least be even with the height of the tank - maybe even a little higher, I'd appreciate it. Thanks in advance to anyone who can help me. Last edited by Conrice; 03-28-2014 at 07:50 AM. Nevermind guys. Someone did this for me! I like your existing one better. And I like both. 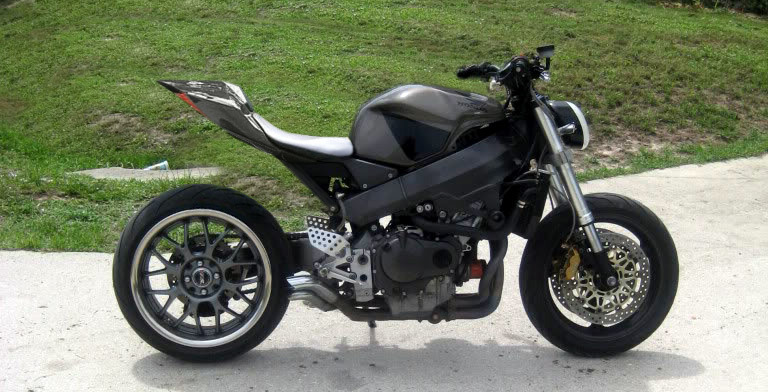 I like the balance of the stock rear, but I know you're going for the bobber look, which the duc tail gives you. I think you should stick with the one you have, the panigale makes it look incomplete somehow, almost like you have one brute of a bike but you have a broom stick for a seat and tail. 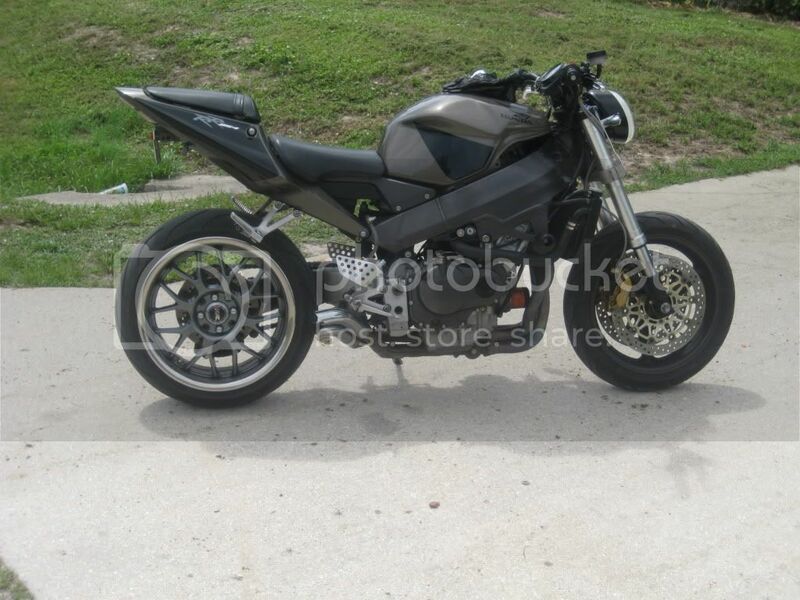 Does look nice without the pilion pegs and hard tail look. Every thought of just putting a glass cover where the passenger seat is and loosing the pegs? Last edited by Kiwi born; 03-29-2014 at 04:01 AM. Well, the stock tail is LONG gone. Pegs were on in that picture because I was going for a ride with my wife. I usually had them off. But, it was too big to be honest for my style and what I'm going for. Don't know if I've 100% decided on a tail, yet. But the 954 tail isn't coming back. I want it to be tighter. It's too big. Last edited by Conrice; 03-30-2014 at 08:57 AM. I agree. Flatten the passenger seat by removing the top and get rid of the pegs and the look might be closer to what you're after. That might be attainable with photoshop. The Ducati tail doesn't seem to fit right with the rest of your bike. Okay - So let's get some opinions going on here. These are the tails I've "thought" about... Haven't 100% ruled anything out. 2) 07-10 600rr tail - although there obviously wouldn't be an under tail exhaust. And the tail light bothers me. 3) 08-12 1000rr tail. Nice and small. Would take a ton of fab work to get rid of gaps because of how it sits on the 1000rr sub frame. Or the Panigale tail. What do you guys think? Open to suggestions too. - But not the 954 tail. That's for sure not happening. Last edited by Conrice; 03-30-2014 at 09:17 AM. Personally, I like what you were going for with the photoshop. I think it makes it look nice and clean. Me too. I'm thinking either that or EVO tail. I started really looking into the Panigale tail - it'd be SO EXPENSIVE.... I didn't know it was possible to make a tail that tiny have so many damn parts.... 3 fairings (not including the pillion cover), air duct, Undertail, tailights. Even buying rashed ones would still be incredibly expensive. And if I were really going to do it - I'd like to do the Panigale seat and subframe as well (in which case the price goes sky-high. So we'll see. I'm curious to see opinions too. Quick Reply: Can anyone do a photoshop for me?